Bobina Envoplast 1500 Mts. Polifilm. Bobina Envoplast 5.8 Kg 1500 Mts. 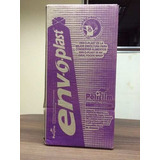 Bobina De Envoplast- Polistrech 5kg 20x490. Polifilm. Rollo De Emvoplast Industrial De 4 Kg. 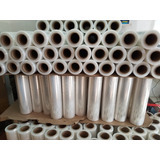 Envoplast Transparente Strech Industrial 50cm 2000mts 4kg.